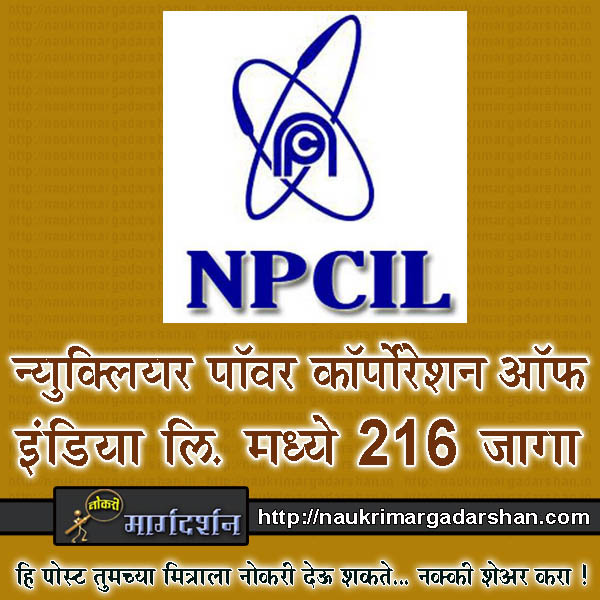 Nuclear Power Corporation of India (NPCIL), Issued a official notification for Executive Trainees. 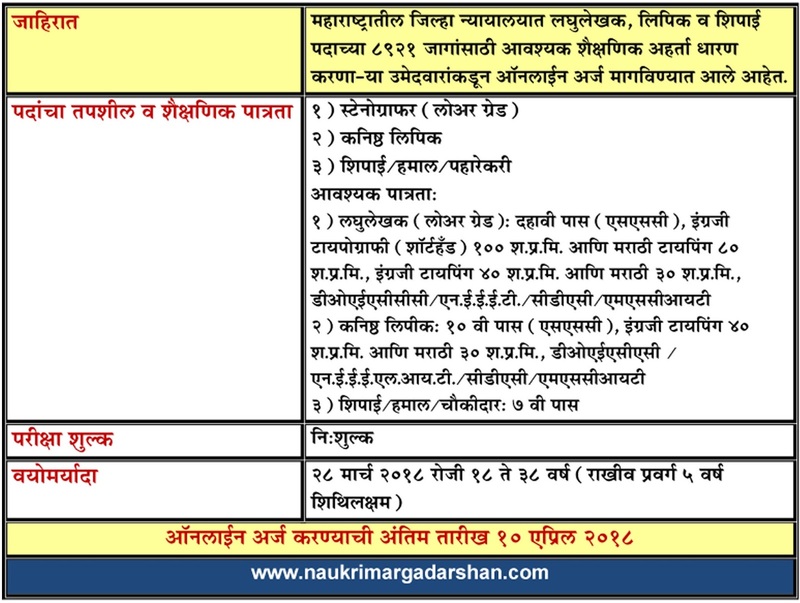 Applications are invited from Indian Nationals for the post of Executive Trainee. 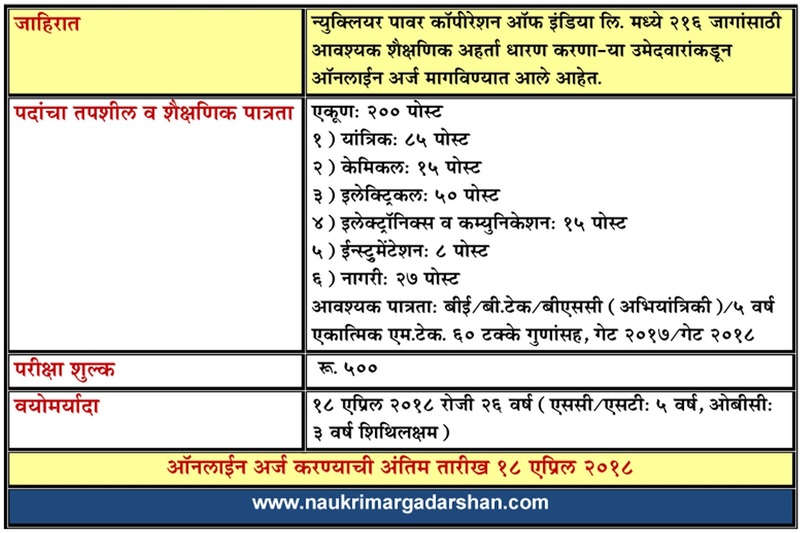 Eligible interested candidates are requested to read official notification before apply. Application Fee : 500 Rs. Hindustan Aeronautics Limited Invites applications from eligible candidates in the designated proforma for the following posts in Non-Executive cadre for Helicopter Division and Aerospace Composite Division located in Bangalore (Karnataka). All these posts are to be filled under Contract Basis for a period of 4 years. HEL Recruitment 2018 (HAL Bharti 2018) for 25 Diploma Technician, BAMEC (Mechanical) and Technician Electroplater, CNC Machinist, Painter, Fitter, Heat Treat Operator, Welder) Posts. Eligible interested candidates are requested to read official notification before apply. Post.No.3 to 8: ITI & NAC in the relevant trade. 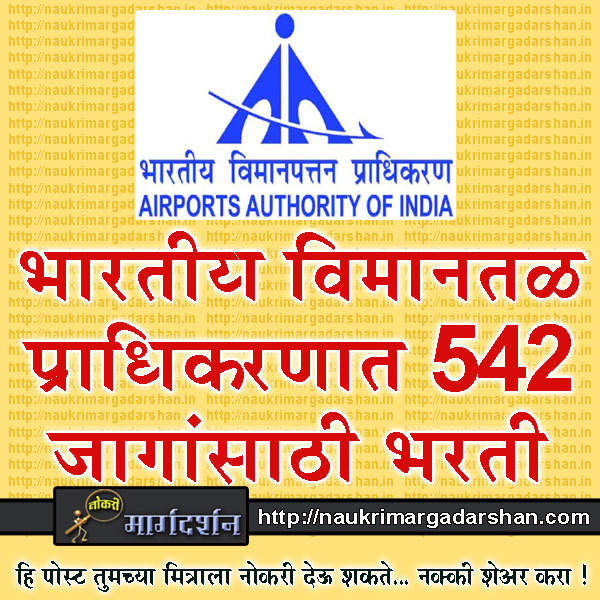 Airports Authority of India (AAI), a Government of India Public Sector Enterprise, constituted by an Act of Parliament, is entrusted with the responsibility of creating, upgrading, maintaining and managing civil aviation infrastructure both on the ground and air space in the country. AAI has been conferred with the Mini Ratna Category ‐ I Status. Airports Authority of India invites applications from eligible candidates possessing valid GATE‐2018. 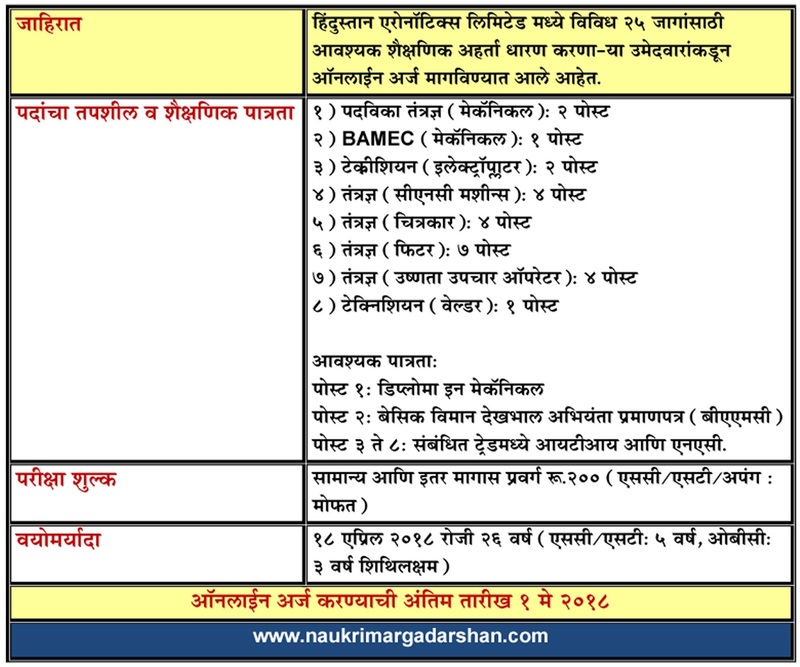 Eligible interested candidates are requested to read official notification before apply. 4) Degree in Architecture and registered with Council of Architecture. 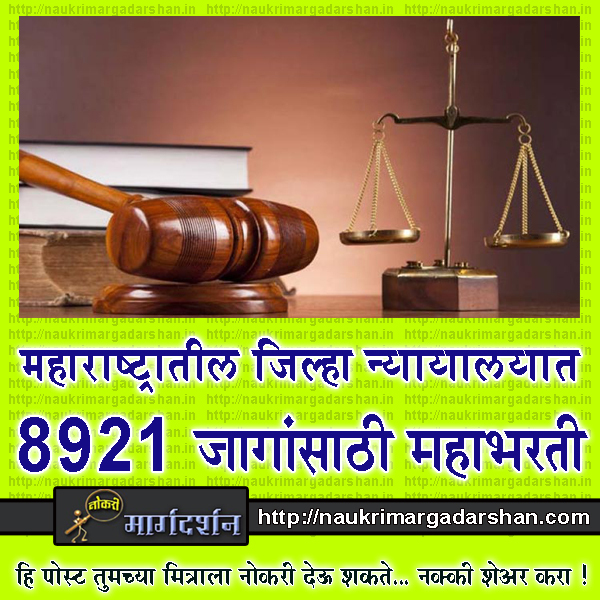 Bombay High Court Published a Official Notification For Maharashtra District Court Recruitment 2018 for 8921 Stenographer, Junior Clerk & Peon Posts In Pune, Ahmednagar, Akola, Aurangabad, Buldhana, Parbhani, Jalna, Latur, Nandubar, Jalgaon, Dhule, Bhandara, Nagpur, Wardha, Yavatmal, Nashik, Washim, Gondia, Chandrapur, Nanded, Osmanabad, Raigad-Alibag, Beed, Kolhapur, Satara, Sangli, Thane, Sindhudurg, Solapur, Amravati, Ratnagiri, Gadchiroli, Diu, Daman and Silvassa Division. 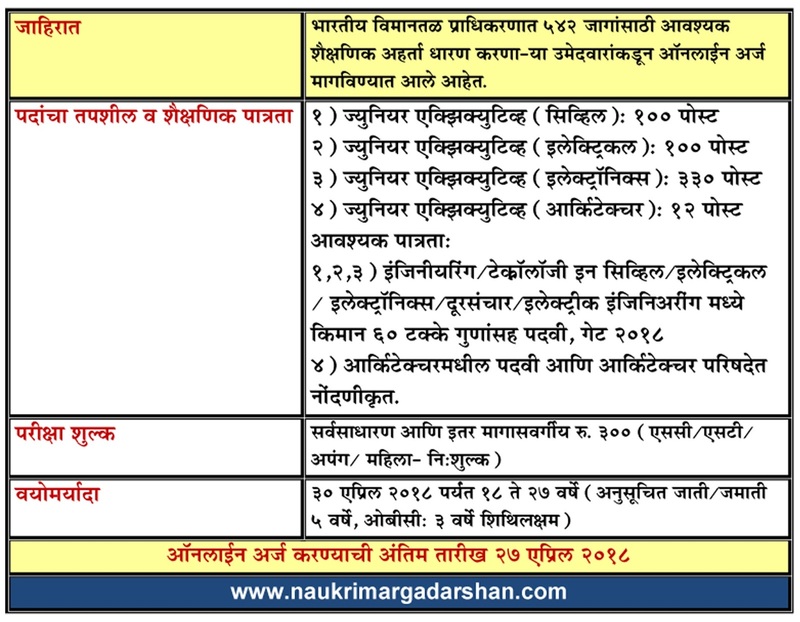 Eligible Interested candidates are requested to read official notification before apply. 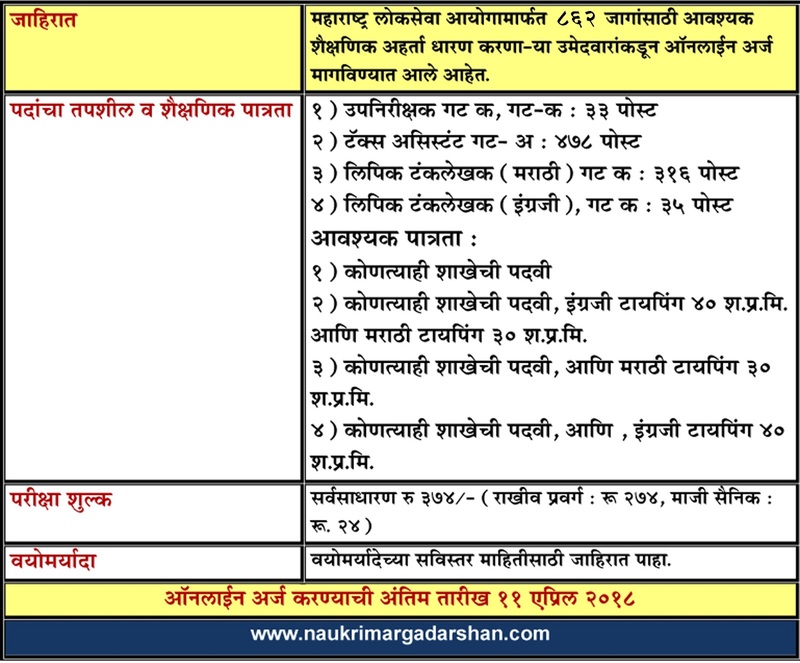 Clerk Typist (Marathi) Group C, Clerk Typist (English) Posts. Interested eligible candidates are requested to read official job notification before applying. 2) Any Graduate and Typing Speed of 40 wpm in English and 30 wpm in Marathi typing Certificate. 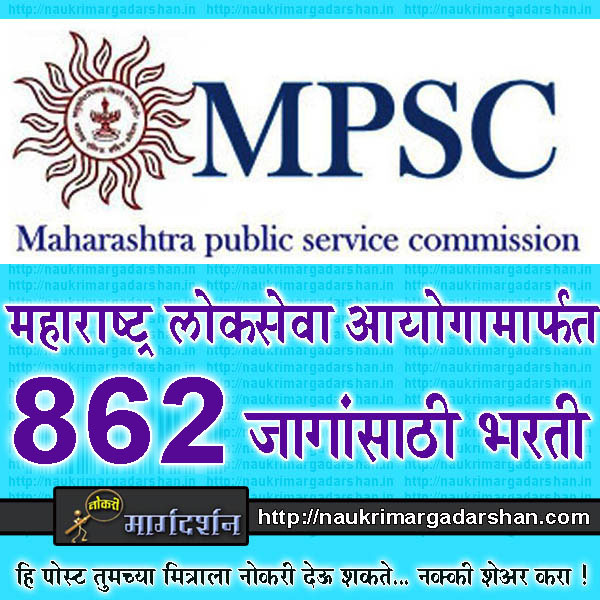 3) Any Graduate with 30 wpm in Marathi typing Certificate. 4) Any Graduate With 40 wpm in English typing Certificate.